Our sensory play room is offered free of charge to every child who takes a swim lesson, as well as their siblings. Kids can arrive early for their lesson and spend some time in the play room... or, they can stay after and play. 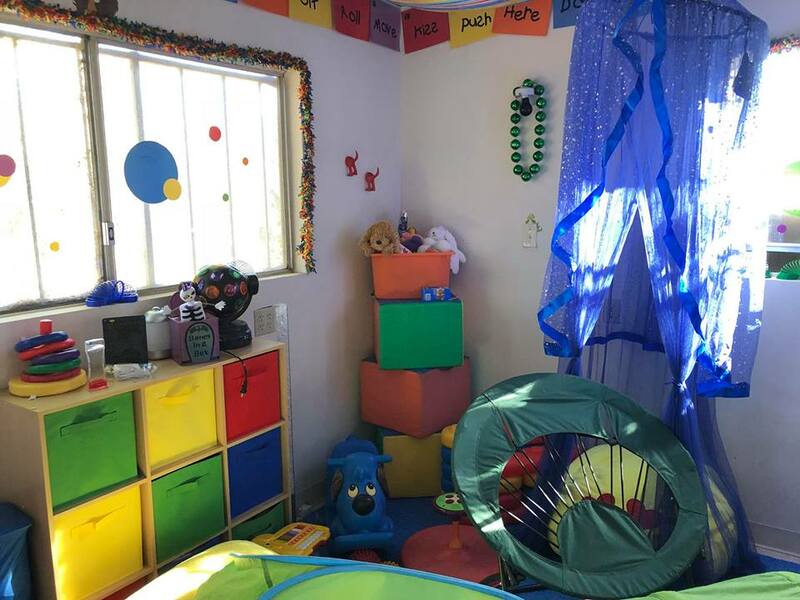 The play room is specially designed for kids who have learning difficulties, sensory processing disorder or other developmental issues. But neuro-typical kids and adults enjoy it too! It offers a wide range of stimuli to help kids develop and engage their senses, such as lights, colors, sounds, sensory objects, aroma therapy, games, arts and crafts and more. 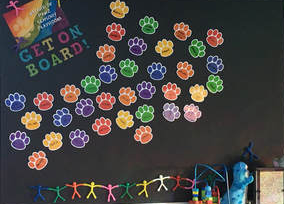 The room is managed by an adult volunteer, but kids are encouraged to volunteer as well. 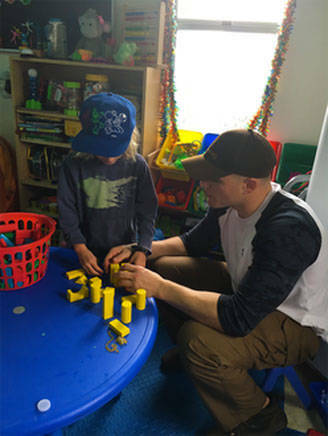 We also have military service members and veteran volunteers who act as mentors to the children during their play session.